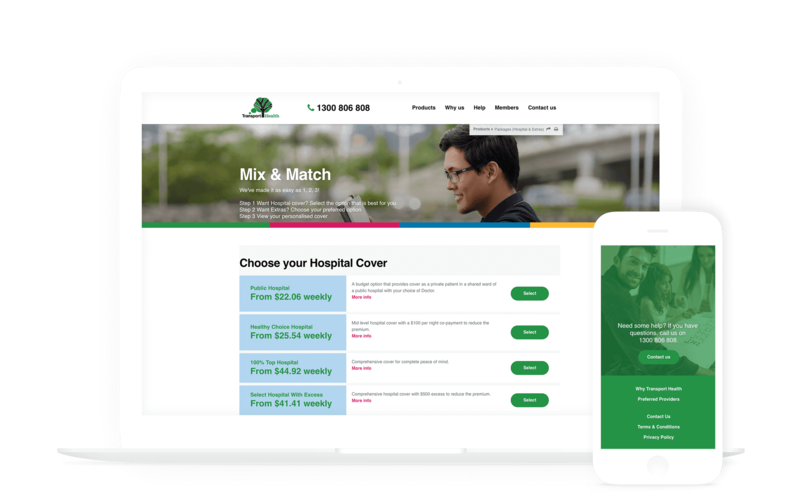 Built next generation website for the health insurance provider, integrating with the Hospital and Member Benefit Administration System (HAMBS) along with a new release of Member Facing Web Services (MFS). Having extensive knowledge and experience working with health funds to create unique, award-winning claiming applications, The Digital Embassy embarked on a scoping workshop to define the full set of deliverables required to complete this project and deliver the best digital solution. HAMBS, the administration systems partner to Transport Health Care, needed to reflect the advancements made to its newly developed Member Facing Services, including the ability to pull functionality directly from the HAMBS system to the quoting functionality of the new website. The purpose of the website was to streamline the quote and join process for the user, whilst still accessing and utilizing the resources of the HAMBS system via MFS. Traditionally this retrieval of information by the user would become a barrier to completing the process and signing up as a client. Therefore, a “3-click” system was devised to allow users to click the persona that related closest to them, enter some basic personal details and obtain a quote. 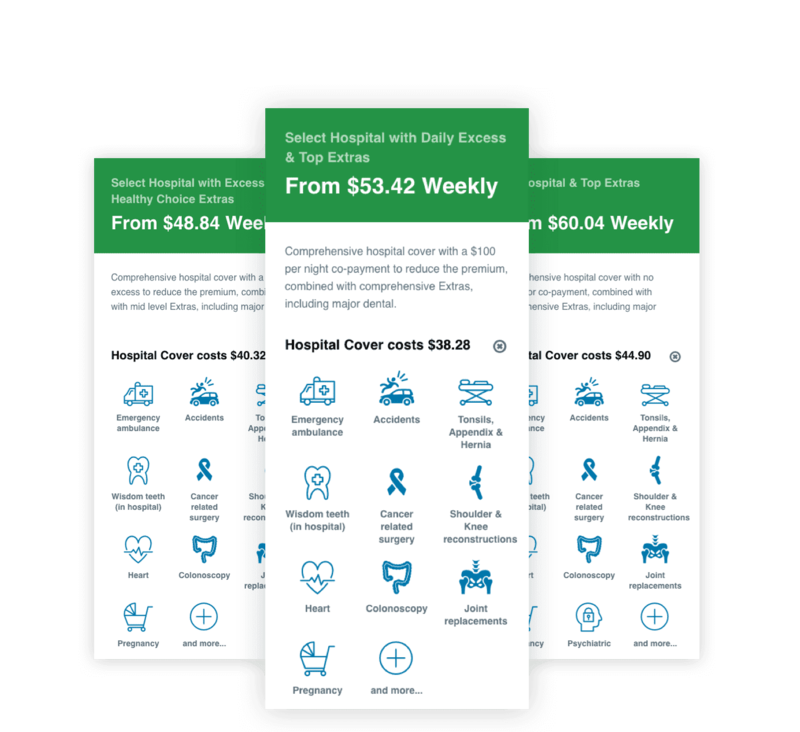 Iconography was used as a quick representation of the benefits of each package, with full service details available down the line, should the user wish to compare different offerings in greater detail. This kept the design aesthetically pleasing whilst maintaining its ease of use to understand and navigate. The user interface was designed to make selection of a product as easy as possible. Clicking ‘view cover’ enabled the user to expand on the product offering for comparison or to confirm their choices. The resultant project represents a new benchmark in health care industry websites. Our primary measurements of success are the increase in user sign-ups and a lower bounce rate recorded across the new website. Meaning users are able to find what they are looking for, are engaged with the website for longer and are progressing through to a successful conversion. The Digital Embassy’s knowledge of the health care industry issues and pain points coupled with our extensive digital technologies makes us the perfect digital partner to health funds across Australia.